SIESTA KEY, Florida — Visit Siesta Key on Florida’s Gulf Coast this time of year and the scene will be exactly as you’d expect: a mixture of teens spring breaking on the famous silky, white sand and snowbirds combing the shores for shells. It’s a calming respite for many. 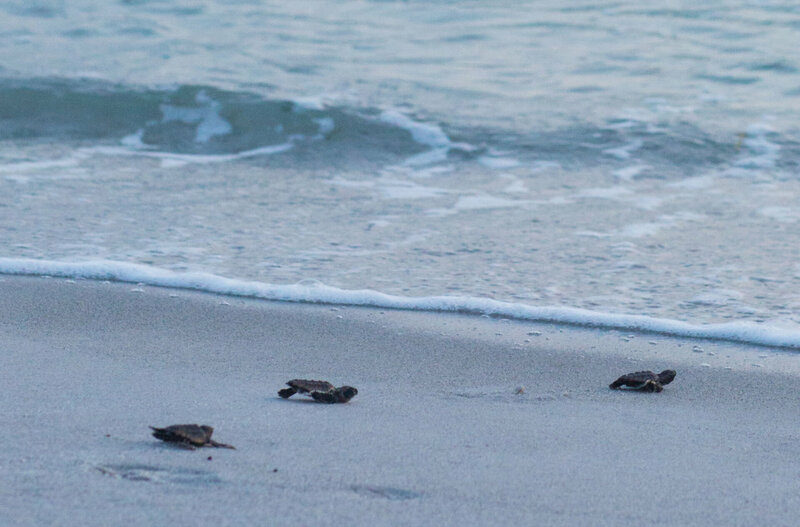 That said, it may come as a surprise that Sarasota County has the highest density of turtle nests on the Gulf Coast, hosting up to 6,000 nests a year, and the east coast of Florida hosts up to 40,000. Even more impressive, Florida’s beaches are the largest aggregation of nesting loggerheads in the world. Once the hatchlings emerge from the nest, it is a sight to see. The sand begins to move up and down like bubbles in a boiling pot of water. Tiny heads and flippers break the surface by the dozens and quite suddenly there are loads of babies bumbling about, each no bigger than a child’s palm. Within a few minutes to a few hours, one tenacious hatchling starts trucking it to the sea. The rest follow. “You can’t even count them all as they pour from the nest and make their way to the ocean without a care in the world, just the instinct to follow the light,” says Kristen Mazzarella, a biologist with Mote Marine Laboratory and Aquarium. It’s something few get to witness. But for Mazzarella, her odds are better than the average beach-goer. For starters, during Sarasota County’s turtle nesting season she walks the beach five days a week, eyes peeled for turtle tracks. As senior biologist of Mote’s Sea Turtle Conservation and Research Program part of her job is to monitor nesting turtles within the 35-mile coastline. When it comes to turtle viewing, experts stress the fact that you should never use lights on the beach at night as they can disrupt nesting turtles and disorient hatchlings from making a beeline to the water. Any distractions could result in them getting plucked up by a predator or simply just tire them out. All their energy needs to be used to get those tiny flippers to the sea so they can feed for the first time. Sadly, only about one in 1,000 turtles make it to adulthood. Hatchlings are bite-size snacks for crabs, birds and fish. Not to mention, the ocean debris, artificial lighting and oil spills they may encounter along the way. Likewise, all five Florida species—green, leatherback, hawksbill, and Kemp’s ridley turtles—are considered endangered or threatened. This means it’s illegal to harm, harass, or kill any sea turtles, their eggs or hatchlings. —Join a beach cleanup or lead your own cleanup. —Make sure not to leave fishing line on the beach. —Adopt a sea turtle through the Sea Turtle Conservancy. —Be part of the Sea Turtle Survival League by calling 1-800-678-7853. —Turn off the lights. The lights can confuse sea turtles during mating season. 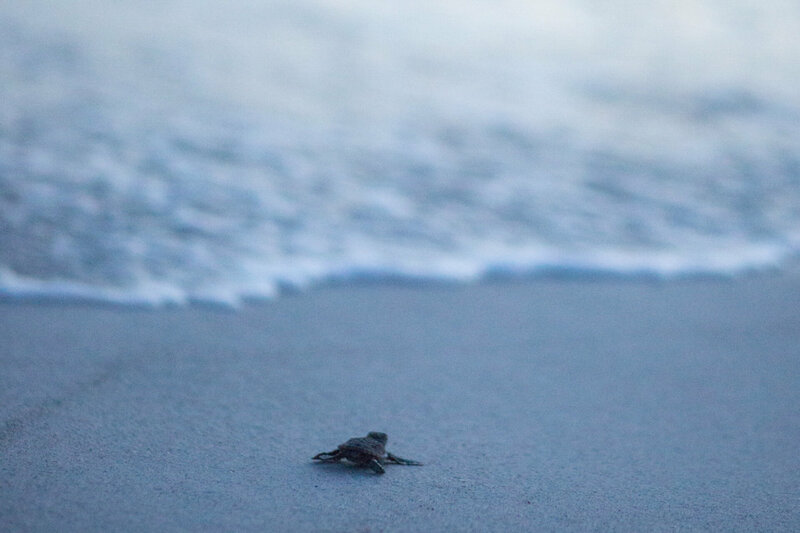 —If you see hatchlings going in any direction other than the sea, call the Florida Fish and Wildlife Conservation Commission Division of Law Enforcement at 1-888-404-FWCC. Previous There’s a bug in my food on purpose?